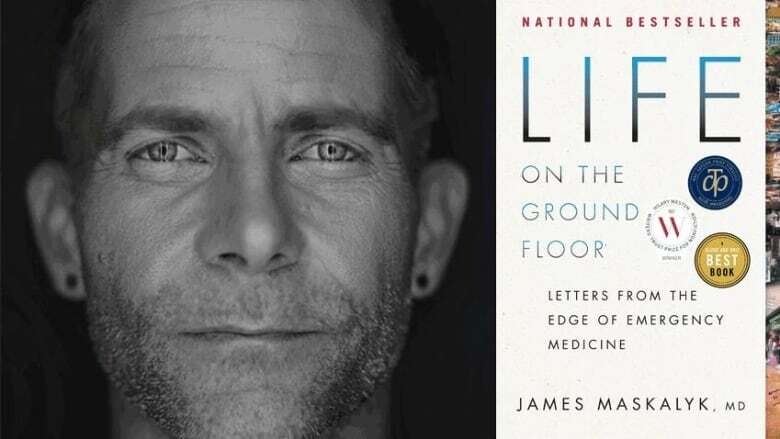 James Maskalyk is the physician and author of memoir Life on the Ground Floor, which is on the Canada Reads 2019 longlist. James Maskalyk practices emergency medicine and trauma at Toronto's St. Michael's Hospital. He is also the author of Life on the Ground Floor, a memoir chronicling his career treating patients in emergency rooms around the world, including in Ethiopia, Cambodia and Bolivia. Life on the Ground Floor won the $60,000 Hilary Weston Writers' Trust Prize for Nonfiction, one of the biggest prizes in Canada for nonfiction. Maskalyk spoke with CBC Books to discuss how he wrote Life on the Ground Floor. "I was walking with a friend one day and we were discussing the system of care in today's emergency rooms and how it needs to be congruent with the principles that fundamentally underlie the concept of life, living and biology. It's the idea that providing medicine in emergency rooms should be analogous to our immune systems and our body's natural ability to repair itself. "The emergency room should be seen as an example of life trying to care for itself and thrive. It's like my own job as a doctor — when people come in with a wound that is too big for their body to close by itself, I close it. What does that look like when you're personally and emotionally invested in this outcome? It's a core idea that we both thought would make a great book. "I get my job right when I can have love for my patients, even though they are strangers when I treat them. A type of love where I would do anything for them within my power to help them heal." "I wanted to examine how and why life and medicine can care for itself. I used 26 essays, from A to Z, to structure the book. It starts with A for airway, one of the principles of life, the continued ability to get oxygen inside the body. Using the alphabet, the book's essays explore the principles of emergency medicine, how the body system works to care for itself and then how the people who make up the medical system work to care for people's bodies. I wanted to explore how hard it can be to exist within a framework that can see so much suffering and pain. You watch people die alone, a lot. You see a lot of sick people and a lot of people who try to refuse care. "I wanted to create an outwardly expanding arc for the narrative, in order for readers to feel the marvel that I feel about the human body. I want them understand that all bodies are different yet the same. The essays bring people to the view that across the world, ER rooms are different yet the same. " "There's a component of embedded racism and colonialism in the approach that we take to countries such as Ethiopia. It's a situation that makes me angry because I don't think that enough people are being honest about it. "Many have lost the ability to empathize for someone who is physically and culturally different from themselves. That's the part of us that breaks down into tribalism, binary genderism and an 'us or them' mentality. We need to understand that illnesses that don't typically affect certain people in certain parts of the world, such as heart failure in young children, actually have an impact in other places. "It can appear as neglect, and in some ways it is. But it's an overall inability for the average person to understand what's at stake. I didn't want to make the story about someone's doing wrong, just what's at stake. James Maskalyk's comments have been edited and condensed.